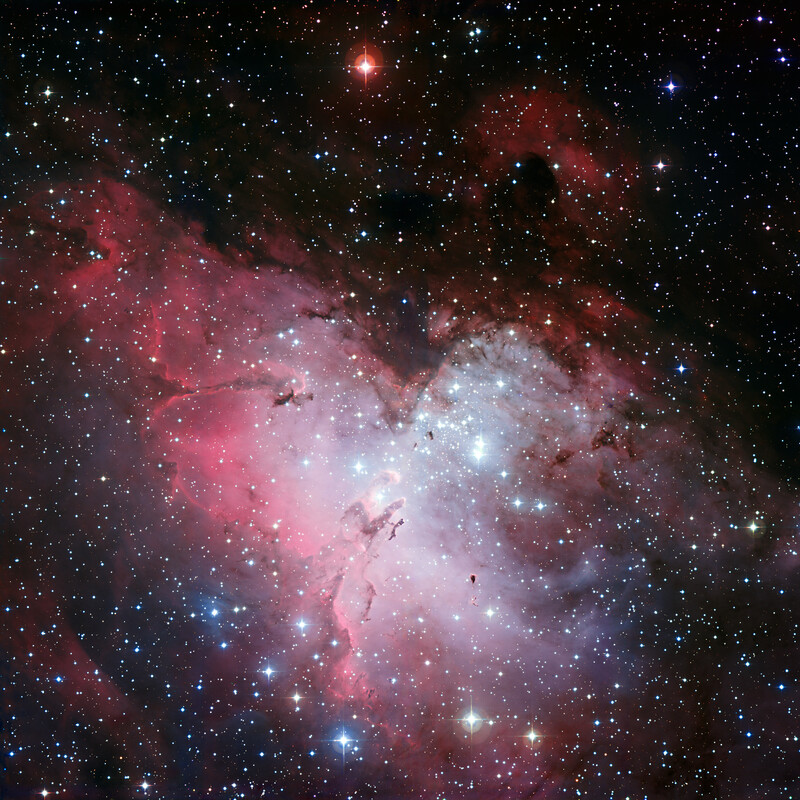 Three-colour composite mosaic image of the Eagle Nebula (Messier 16, or NGC 6611), based on images obtained with the Wide-Field Imager camera on the MPG/ESO 2.2-metre telescope at the La Silla Observatory. 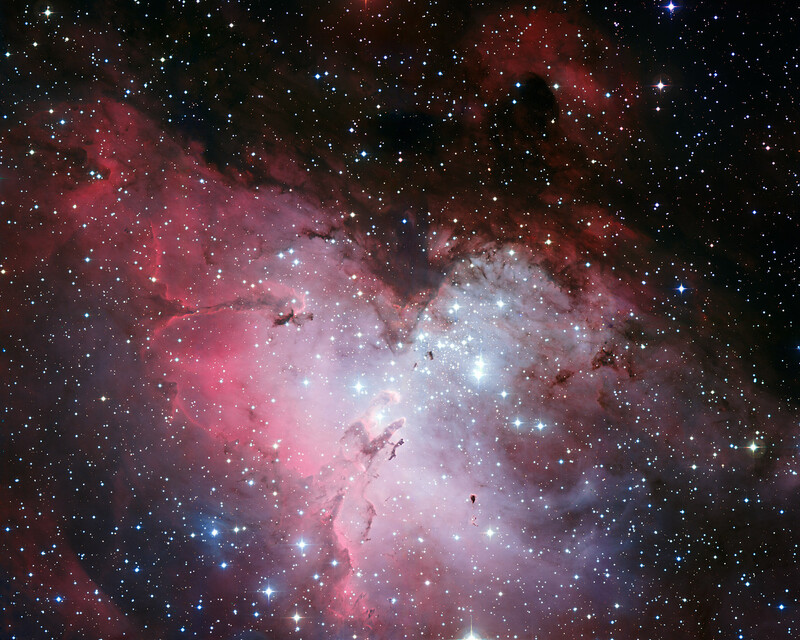 At the centre, the so-called “Pillars of Creation” can be seen. 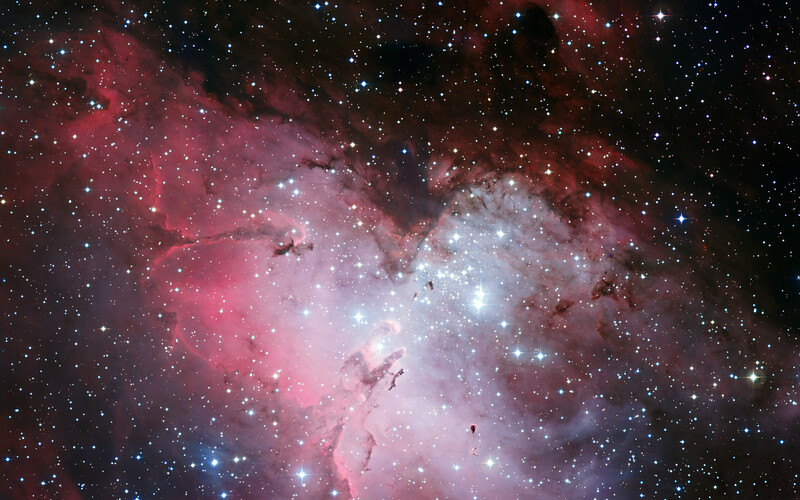 This wide-field image shows not only the central pillars, but also several others in the same star-forming region, as well as a huge number of stars in front of, in, or behind the Eagle Nebula. The cluster of bright stars to the upper right is NGC 6611, home to the massive and hot stars that illuminate the pillars. The “Spire” — another large pillar — is in the middle left of the image. 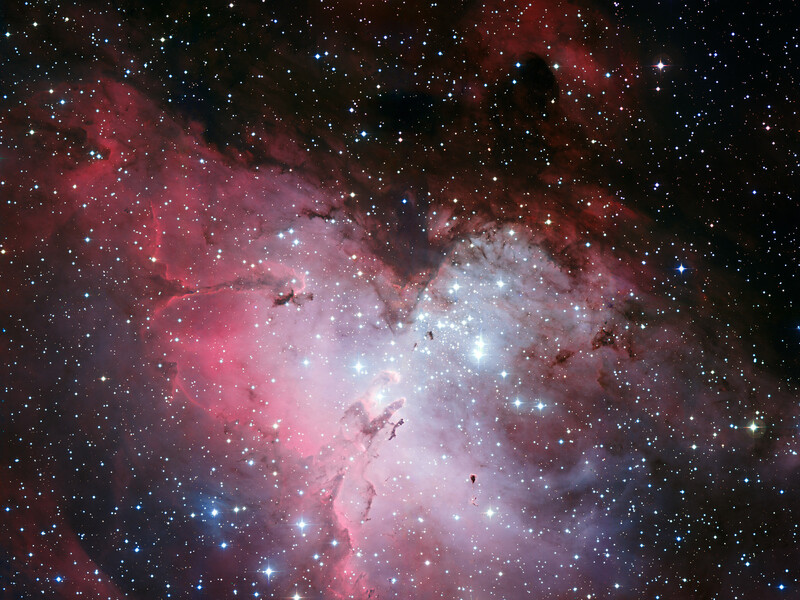 This image is a composite of 3 filters in the visible range: B (blue), V (green) and R (red). Position (Dec): -13° 49' 11.83"